Disclosure: I received compensation for this post but all opinions are 100% my own and may differ from yours. I will only endorse companies, like Groupon, products, like pet supplies and services that I believe, based on my own experiences, are worthy of endorsement. Our Baxter has worn out his doggie bed. He has had his bed for over two years, closer to three, so I guess it’s probably past time for a new bed. One thing he does well is sleep. Yes, he has mastered that skill. It is a science, you know. It’s something I wish I could learn from him. Sleep is not something I get nearly enough of… but I digress. I noticed a couple of weeks ago he has started dragging his bed through the house. Maybe he is trying to tell us something, like, I need a new bed, my humans! Okay, okay, I get the hint. Finally. My first stop was Groupon. It’s a great place to find really amazing deals. 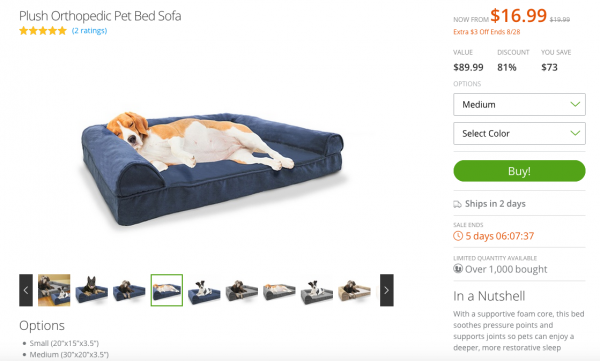 Look at the incredible deal I found on an Orthopedic Pet Bed Sofa! Baxter will feel like a king. He might as well sleep like one, he already rules the house anyway. Whether you’re looking for a dog bed or pet supplies, you can find a plethora of Groupon Goods to fit all your needs, from back to school clothing to jewelry, to beauty products and spa treatments and so much more. I love how much I can save with Groupon. What do you shop for on Groupon? I absolutely love Groupon!! I have bought several items severely marked-down. I haven’t run into many pet items through my emails. So, I guess a visit to the website is warranted! Good information! 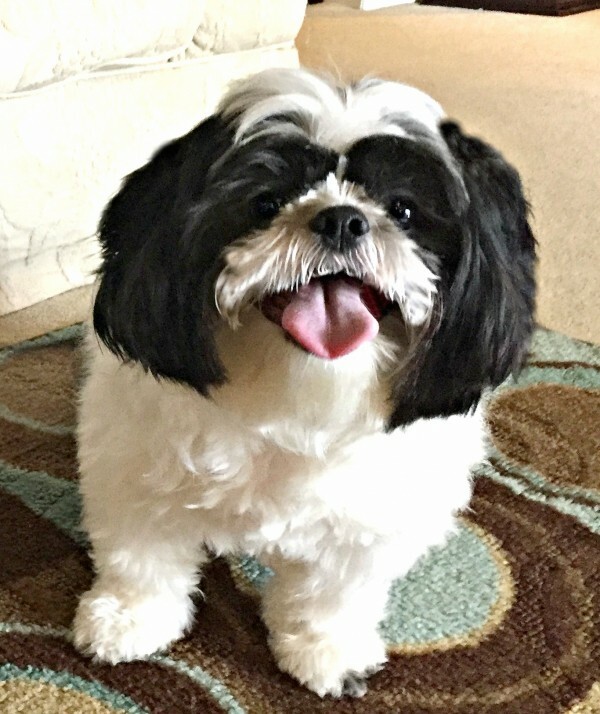 We have four pets, so I’m always on the look out to save money with them! If they had money, my pets would blow it all. They’d definitely buy the doggie bed Baxter had his eye on. I don’t use Groupon but I’d like to try in the future. i have found some good deals on groupon but i always check out the vendor first. sometimes the prices on good on products. I have used Groupon to find some good deals on dog food. I wouldn’t have thought to look for pet products on Groupon. Have to check it out. I never thought to check groupon for pet supplies. Thank you for sharing.